Garlic is very good for opening up your blood system to deliver more nutrients to your muscles. Eating garlic during your bulking up phase is a very good idea. Beetroot is a natural vasodilator and excellent for giving you more pumps in the gym and for giving you better contractions which mean more muscles. Packed full of Omega 3s and the muscle building amino acid Leucince. If you have trouble building extra muscles, Leucine can really help. Vinegar is incredibly powerful at taking nutrients into muscles cells and away from fat cells. Raspberries are very powerful at maintaining your metabolism and ensuring your body is burning fat and building muscles correctly. Broccoli is possibly THE most important vegetable for building muscles, health and losing weight. Eating Broccoli can help get rid of excess oetsrogen, which is responsible for lack of muscle growth and increased body fat. 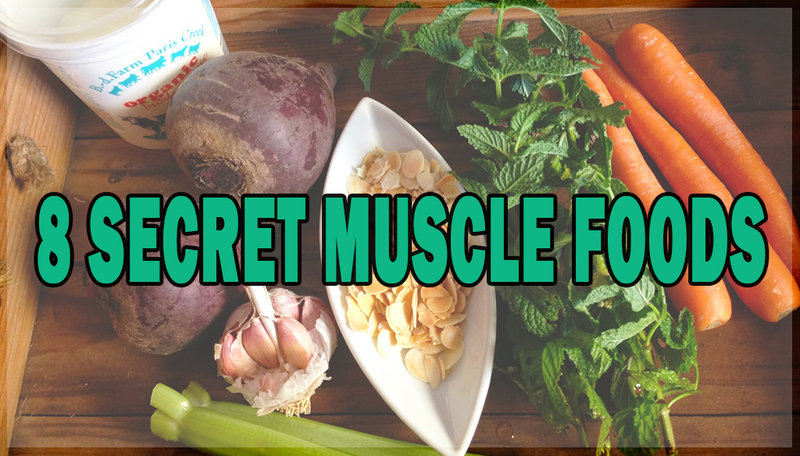 Simple, fast acting carbohydrates that are necessary for building muscle mass. Sweet potato is great for filling out depleted muscles. Asparagus can make sure your muscles don’t look bloated and that they are mean and lean. I dont know if its true so i decided not to focus on it.